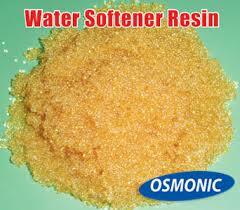 Ion exchange resin has been an effective water treatment tool for many years. The most common use, by a long way, is for water softening. Ion exchange resins, however, have many other less frequently used applications. Resins are used to reduce arsenic, nitrates, uranium, perchlorate, and more. They can also “deionize” water completely, removing the full mineral content. Cation resins exchange positive ions and Anion resins treat negative ions. SAC – Strong Acid Cation Water softening, iron reduction, barium and radium removal. Exchanges for sodium ions. WAC – Weak Acid Cation Softens water (removes calcium and magnesium), reduces TDS mildly, and reduces alkalinity. Has the often undesirable effect of lowering pH. SBA – Strong Base Anion Reduces nitrates, arsenic, perchlorate, TOC (Total Organic Carbon), uranium. Can also be used as an antimicrobial disinfectant. Special grades with selectivity built in are often used. SBC and SBA together. SAC and SBA resins employed in combination either individually or mixed together can be used to reduce minerals and TDS in water. The process is known as deionization (DI) or demineralization. The media can be placed in the same tank or in separate tanks. Indebted to “Ion Exchange Resins and Their Applications,” Water Technology, Nov. 2015.